The 4 x 4" Warm Black Movie Mist 1/2 Filter from Hitech is a combination of a Black Movie Mist filter with some warmth thrown in. 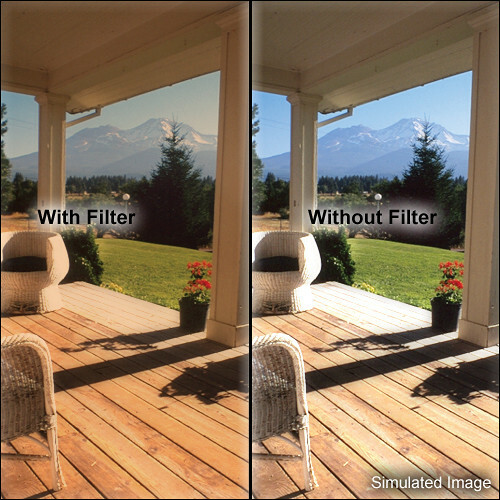 The strength of this filter lies in its ability to soften the image without any loss of detail. Contrast remains unaffected but highlights are reduced. It's more subtle than Hitech's Clear Movie Mist filter but shadows are not lightened as much. This is an excellent filter to use for portraiture as well as indoor or outdoor photography when you want to add both mood and warmth to the shot. A Warm Black Movie Mist 1/2 filter brings minimal diffusion to the image but enough to touch up minor skin blemishes. It reduces your highlights but does not have any effect on detail. When used for indoor or outdoor photography, it provides a softening effect that adds mood or drama to the scene. This version of the Black Movie Mist filter adds a touch of warmth to your shot.